A 3-in-1 lip scrub to cleanse, exfoliate and condition, for smooth, soft lips. Made with agave nectar and fair trade organic golden sugar. Clean, vegan, cruelty free and gluten free. Yes, please: sugar-gel base. No thank you: Harsh scrubs. 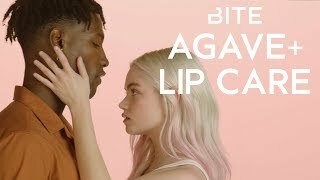 Get your lips ready for action: BITE reimagines its beloved lip scrub with a completely new innovation. This game-changing 3-in-1 cleanses, exfoliates and conditions, for smoother, softer, more kissable lips. Post-scrub, balms absorb better and lipstick looks more even. It’s never been easier to use: Massage over wet OR dry lips, then rinse or wipe away. Fair trade organic golden sugar exfoliates, and papaya enzymes help lift away flakes. 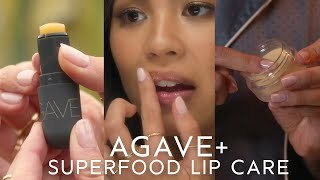 Made with sugarcane-derived squalane, lips feel conditioned, too. Ready to take off your lip color? It can help do that, too. Don’t be surprised if the addictive vanilla flavor makes you want to use it more than weekly—good thing it’s gentle enough to use whenever the mood strikes. And, of course this scrub is clean, vegan, cruelty-free and gluten-free. Now, you’re ready. Fair trade organic golden sugar scrubs away rough patches. Papaya enzymes act as an enzymatic exfoliant to break down flakes. Plant-derived squalane mimics skin’s own moisture for more hydration. Ingredients: Sucrose, Squalane, Glycerin, Helianthus Annuus (Sunflower) Seed Oil, Caprylic/Capric Triglyceride, Aqua/Water/Eau, Aroma/Flavor, Vanilla Planifolia Fruit Extract, Sucrose Laurate, Papain, Vanilla Tahitensis Fruit Extract, Tocopherol, Maltodextrin, Agave Tequilana Leaf Extract, Sodium Benzoate, Sodium Metabisulfite.